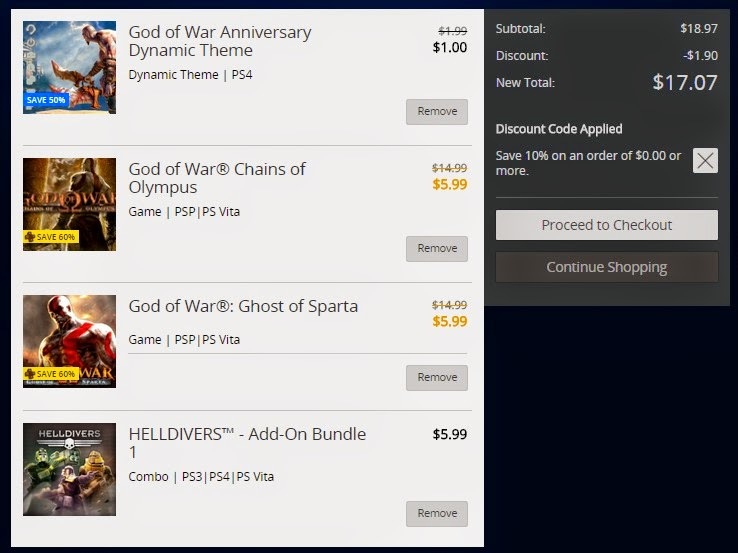 With the 10% off and the God of War sale, I made more PSN purchases! Yes, with the God of War 3 Remastered announcement, I have a renewed interest in the God of War franchise. Can't remember if I ever played the Ghost of Sparta game, so why not? A little disappointed with the recent games, but they were still awesome games! So many damn good memories and Kratos is still the ultimate badass! 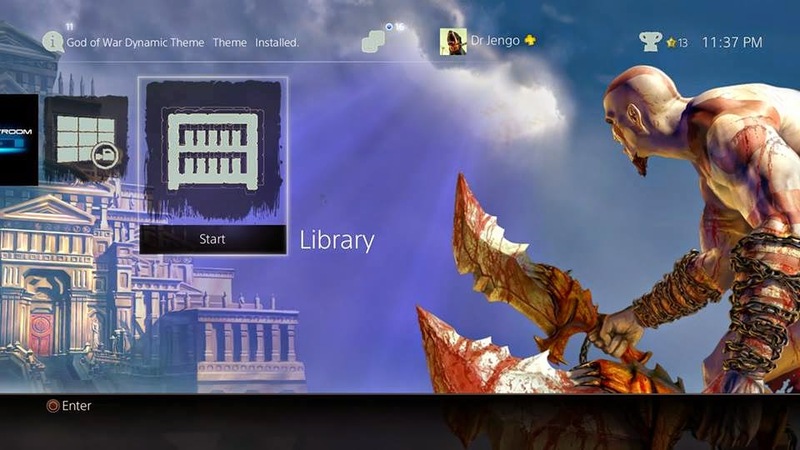 Got the God of War PS4 theme! Comes with background music to get you into the mood! And I have been playing HellDivers here and there, and I'm enjoying it so wanted to get the additional content, since it was on discount anyway. Did you guys get anything last week? Liking the God of War theme? What did you get with the 10% discount?